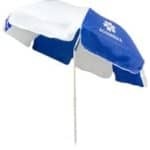 Custom branded promotional umbrellas. 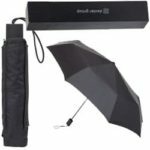 A variety of umbrellas are on offer for your next promotional event. These umbrellas can be customised or personalised to your requirements. 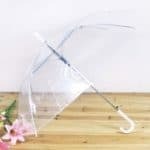 Umbrellas are a popular giveaway at events due to the fact that they are cost-effective and highly visible on the beach or walking around in the elements. Umbrellas are perceived as a practical and lavish gift, ideal for Christmas presents for staff, Trade Show Giveaways and general promotions. 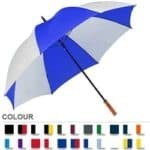 Our range includes quality corporate and promotional umbrellas, golf umbrellas, executive umbrellas, clear umbrellas, collapsible umbrellas with accessories, for example, a LED light. With branding evident on these umbrellas, you can increase your company footprint with a corporate logo or message.